The wild life of Ranthambhore is a rich and varied flora and fauna. The natural vegetation is classed as Northern Desert Thorn Forest.The park comprises of dry deciduous forests sprawling over an undulating terrain of the Aravali and Vindhyan ranges. There are some 40 species of different mammals, about 320 species of birds, over 35 species of reptiles. The park is one of the finest tiger reserve under the Project Tiger. The majestic predators, as Tiger” that room freely during the day time and can be seen of close quarters but it is always a matter of chance. 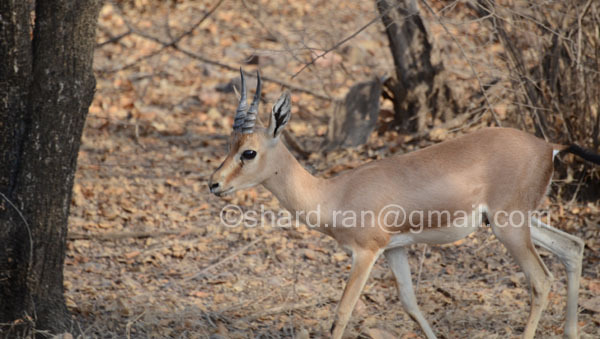 It has a large number of sambers, cheetal, nilgai, chinkara, langur, wild boar and peafowl. A system of three artificial lakes-Padam Talab, Rajbagh and Malik Talab, along with a number of anicuts are also the part of the biosphere, besides enhancing the scenic beauty of the park, they are important sources of water for flora and fauna. While deer congregate here to drink water, fresh water crocodile can be seen basking in the winter sun easily. 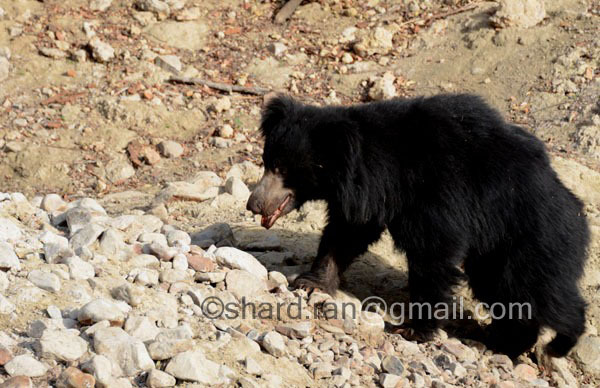 The local fauna of the park includes leopard, hyena jackal, jungle cat, sloth bear and a little population of pythons. Apart from that a large numbers of Leopards, Striped Hyenas, Sambar deer, Chital, Nilgai, Common or Hanuman langurs, Macaques, Jackals, Jungle cats, Caracals, Sloth bears, Black Buck, Rufoustailed Hare, Indian Wild Boar, Chinkara, Common Palm Civets or Toddy cat, Coomon Yellow Bats, Desert Cats, Fivestriped Palm Squirels, Indian False Vampires, Indian Flying Foxes, Indian Foxes, Indian Gerbilles, Indian Mole Rats, Indian Porcupines, Longeared Hedgehogs, Ratels, Small Indian Mongoose, Small Indian Civets and Common mongoose are seen in the park.